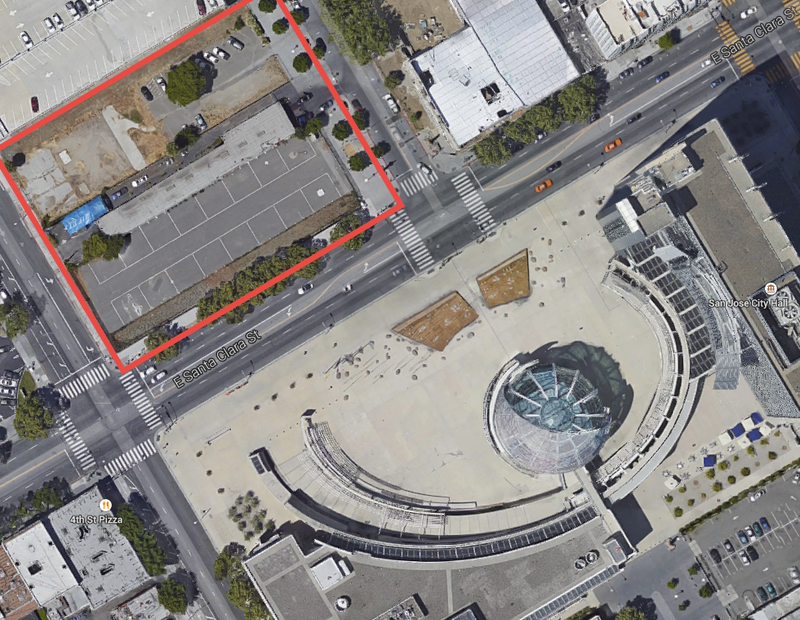 A key parcel across the street from City Hall is up for sale for $5.25 million. At 61,650 SQFT, this comes out to a very reasonable $85 per SQFT, especially when you consider this location. The block is zoned for a high-rise up to 285 feet tall and soon the only satellite US Patent Office on the West Coast will be located in City Hall. This corner would make an ideal office tower location, especially for corporate and patent lawyers and other support services complimentary to the Patent Office. As for my dream scenario--I would love to see a mixed-use building here with retail on the ground floor, several floors of large floor-plate offices, and topped with hotel or residential. That would likely be the most efficient use of the space... but I would be happy with any high-density project here to be completely honest. The 5 million is a minimum bid that will be accepted. The site will go for much higher than that. With the right to go to 23 stories this site could go for $10-$20million or more.